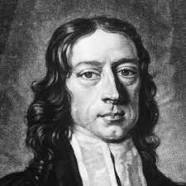 In churches across the country discussions go on all the time about humanity being entrusted with the care of the planet, the care of animals, and certainly the care of our neighbors, but I admit I never focused on Wesley’s point that God “entrusts” us with money per se. No this Pew isn’t about tithing in church or how the world’s problems would be solved if a great deal of the world’s wealth wasn’t in the hands of a very few. Instead it caused me to think about my limited resources as an entrustment. There is the parable about the landowner entrusting his riches to the three men, and the one who buries his one coin ends up not doing so well. Wesley made me think how each of us is entrusted with wealth not necessarily in the coins of the realm, but with talent, skills, wisdom, and an ability to love unconditionally. In addition to an ice and snow storm, I was buried under and overwhelmed with birthday cards that came from near and far. The current count is 177 cards, letters, and notes. Some came from new friends and a few from friends I haven’t heard from in some time. Most cards included a personal note, and many of those brought me to tears. The number doesn’t include the many email birthday wishes, phone calls, and the over 300 facebook birthday greetings. Who says I’m not a very wealthy Man??? Now I must figure out how to share this “wealth” to relieve the wants of mankind. It sure relieved any want I could ever have had. Thank you all!!!!!!! Previous Post: An Assurance of Safety and a Temper of Peace.